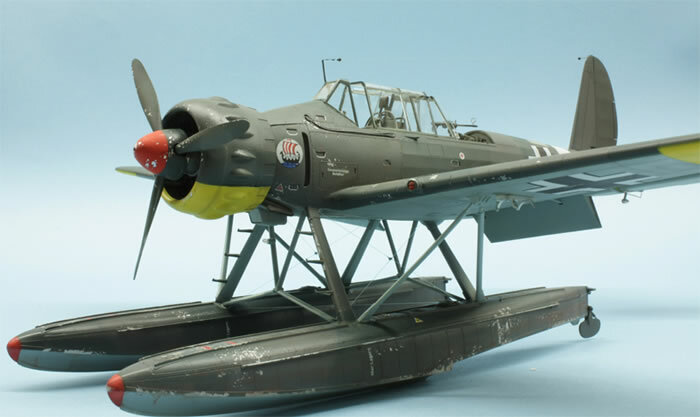 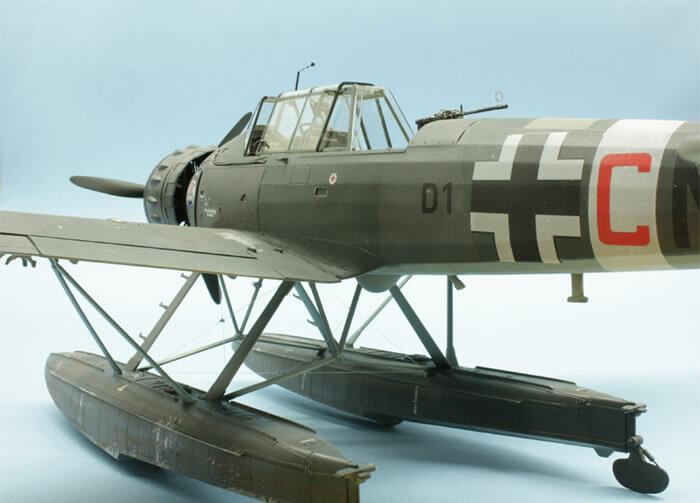 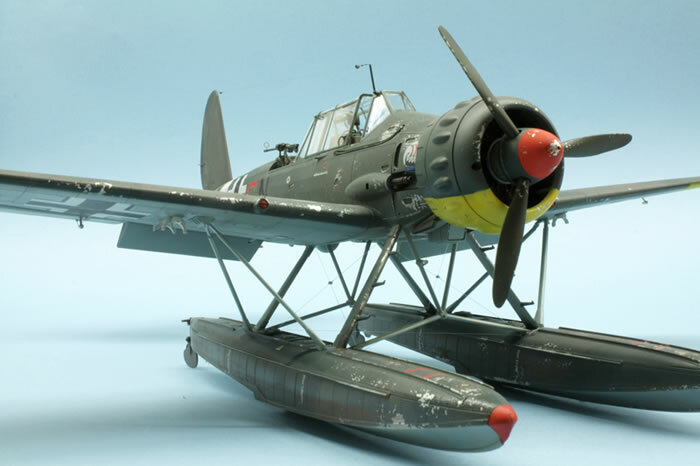 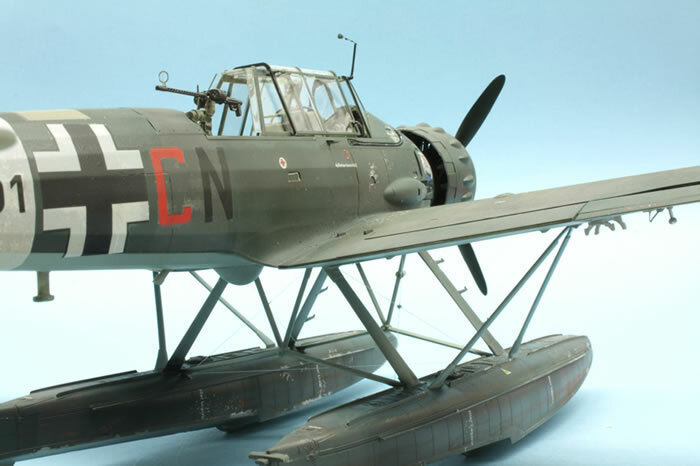 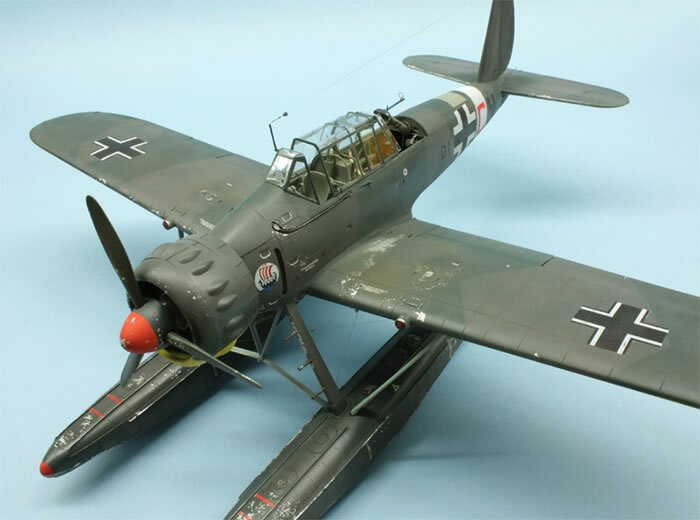 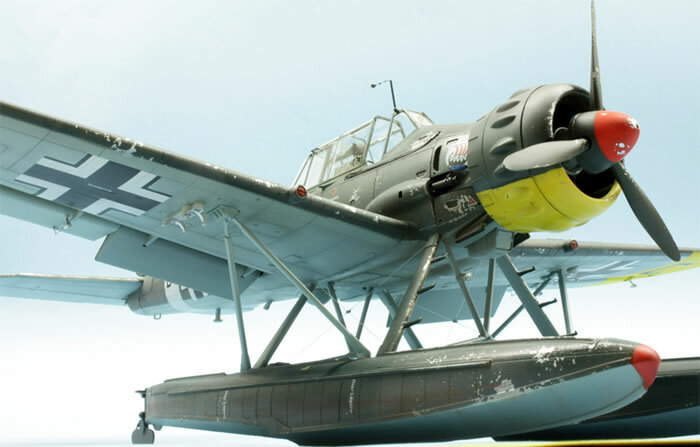 When I saw Revell's new 1/32 scale Arado Ar 196 seaplane, I knew I had to build more than one. 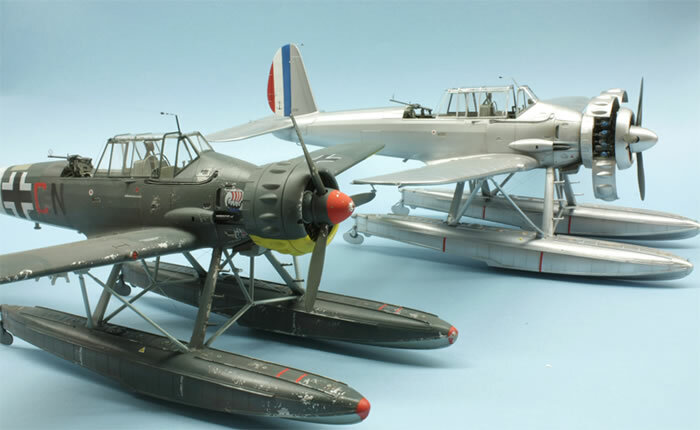 I should end with three finished models, each a delight to build and detail. 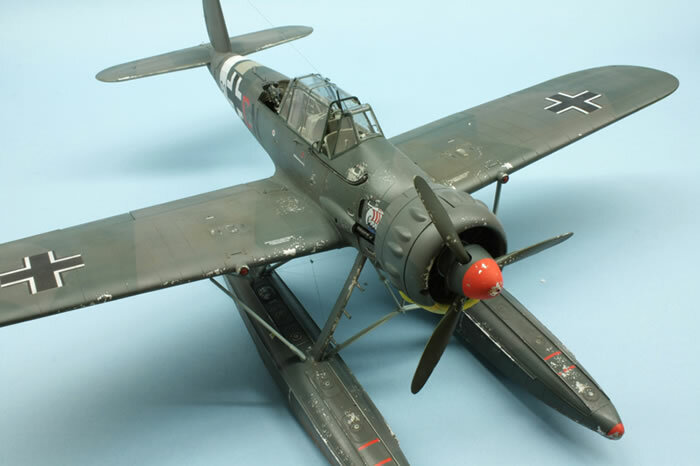 I would like to show you a version I have done with the kits decals. 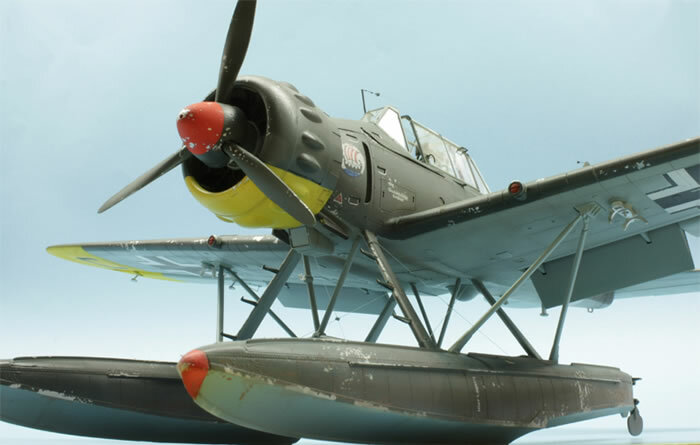 It depicts a Arado 196 flown by the KG 100 from Athen/ Kalamaki in 1943. 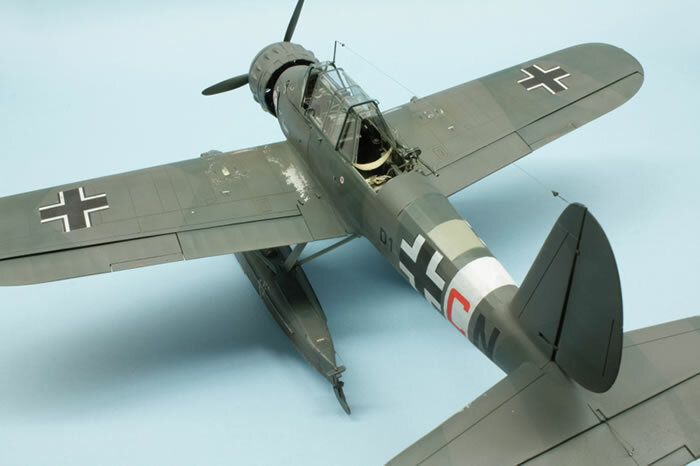 Revell identifies Kalamaki as an area in Crete but, looking at the deployment of KG 100 at this time, the namesake suburb of Athens should be right. 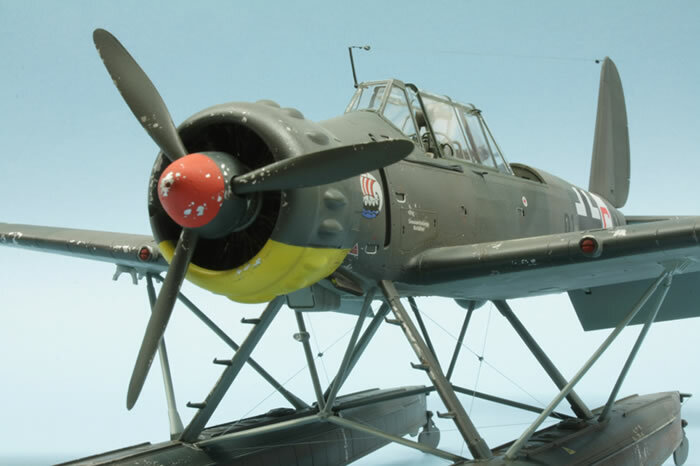 For the RLM 72/73 shades I used Model Master Colours, all the other painting has been done with Gunze products. 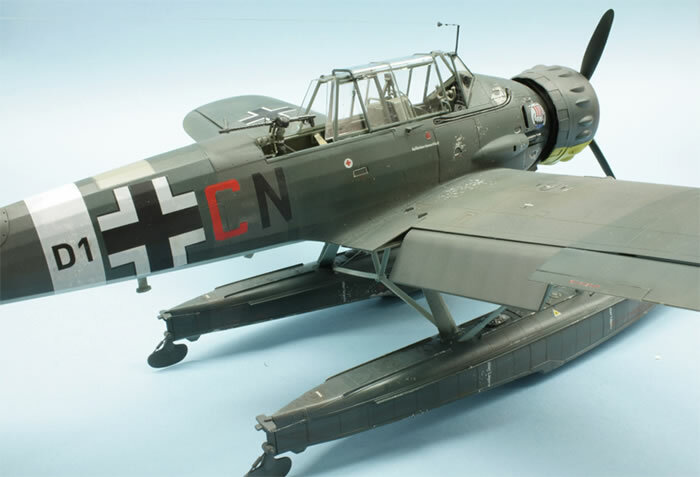 The kits decals are, as ever with Revell, outstanding regarding both quantity and quality.